How interesting is this graph? Well that depends on how big of a car dork you are. 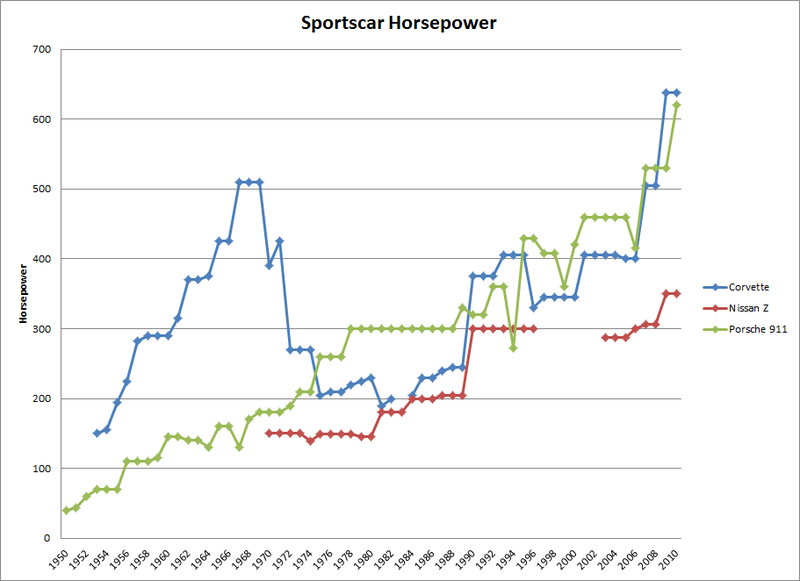 This graph is a fairly accurate representation of how sports car horsepower has progressed through the years. 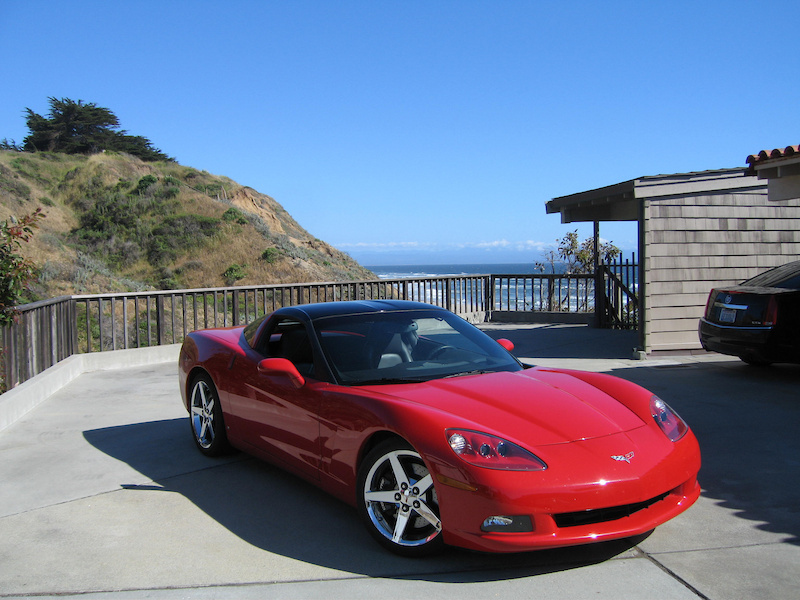 The Corvette, Nissan Z and Porsche 911 were chosen for their long production run and quasi-entry level sports car status. First of all some disclaimers, Porsche info before 1963 is actually from the Porsche 356; the 911's predecessor. Also some of the Porsche numbers represent European-spec power ratings as at some years the proper North American numbers were hard to find. The chart also ends at 2010. Other than that, the chart is fairly accurate and there are a couple neat observations that can be made. The modern Corvette (2007 base model pictured) is once again a top contender in the horsepower wars. The horsepower arms race that was the American muscle car era can be easily seen in the Corvette's incredible 60's power ratings. Then there are a few noticeable jumps down in power. This is because in 1972 American manufacturers changed from the SAE Gross method of rating power (SAE Gross allowed testing with race gas, headers and no accessories to the more modern and realistic SAE Net system. And then all hell breaks loose after 1974 when compression was lowered and federally mandated emissions equipment dropped engine power. This stagnation of engine power and design is referred to as the malaise era. The 911 was not hit so hard by this and the power figures of the 911 Turbo stand tall against the malaise. It is still unclear whether the North American spec cars made this much power. The 911, largely in part to it's comparatively high price tag is the most powerful for more than a few years. 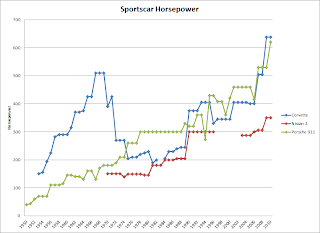 Taken as a whole, the chart is an interesting way to see how sports car engines have progressed since the 1950's. It remains to be seen whether or not this upward climb of engine power can survive the onslaught of emission and fuel economy regulations required of new cars.